A motorcyclist has broken records by crossing the USA in under 39 hours, in a trip which involved riding 2,829 miles from Los Angeles to New York in just one weekend. The record breaker, Mr Carl Reece, is well known to the Guinness Book of World Records, with six accolades to his name already, including ‘the shortest charging time to cross the USA in an electric vehicle’, a trip which involved crossing the US with less than 13 hours charge time for the car. Mr Reece apparently took inspiration for his latest trip from ‘Cannonball Run’, and spent two years meticulously planning his adventure. The route took eight months to prepare, including research on historical data, fastest routes and departures times. Mr Reece also prepared himself physically for the trip by taking years of spin classes, to help build the core strength needed to ride a motorcycle for such a prolonged length of time. According to reports on the record attempt, Mr Reece left LA at around 3am, then travelled towards Las Vegas before heading east through places like Utah, Colorado, Missouri, Ohio and Pennsylvania before reaching Manhattan at 9pm. If the idea of travelling the USA by motorcycle appeals to you, whether you want to journey Route 66, stick to the coast or travel the length of the US, you need to ensure you invest in quality travel insurance to protect you and your trip against any unexpected holiday disasters. 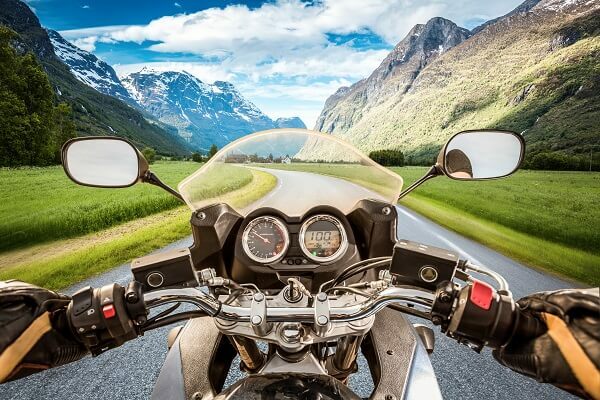 Visit Holidaysafe.co.uk for more information and a free motorcycle travel insurance quotation.